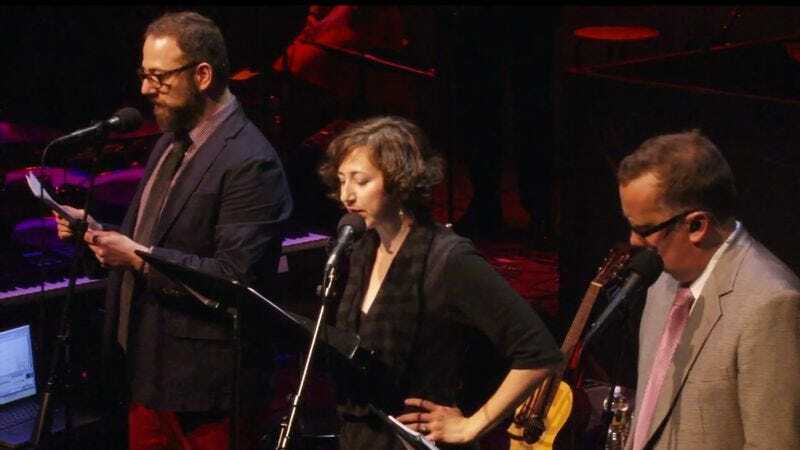 The public radio show Wits, which bills itself as a mix of “improv, sketch comedy, conversation, music and genuine beauty,” lived up to the latter claim when it invited comedian Kristen Schaal onstage this weekend to play Darth Vader. Flanked by Stormtroopers played by comedian Mike Fotis and Wits host John Moe, Lord Vader bemoans the incompetence plaguing the Death Star and gets schooled on the difference between grandmas and Grand Moffs. The Force is strong with this sketch.